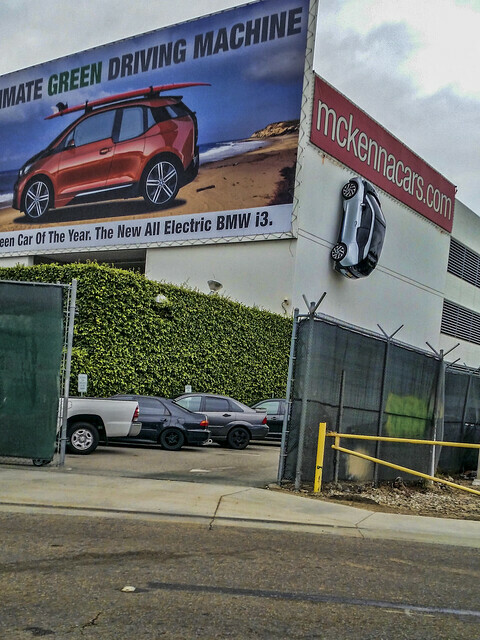 Heading to Costco today, I passed McKenna BMW and noticed this Ultimate Driving Machine on the back side of the building. It certainly got my attention. It also had me just a little concerned about how it got up there and what was keeping it from falling.